Sembangudi is a small village bushed in a remote corner of Tiruvarur District in Tamil Nadu. The school was established by philonthrophist late S.S. Natesa Iyer in 1958 and then handed over to Swami Dayananda Saraswati in 2000. 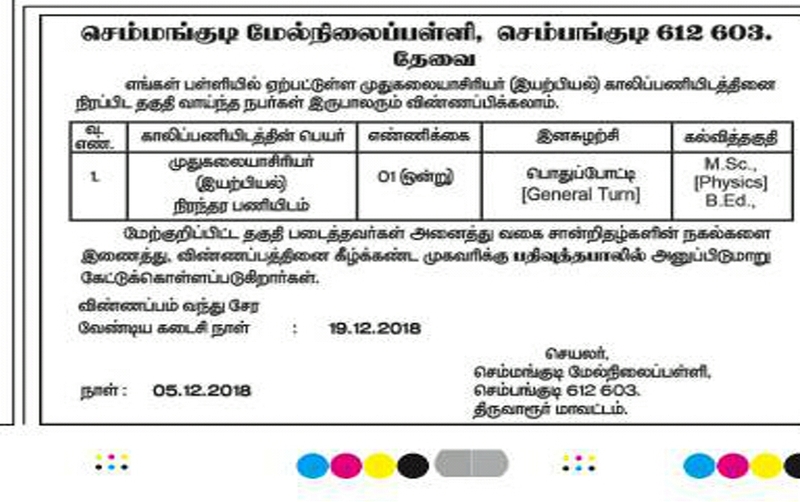 Interested and Eligible Candidate may apply with Good and Neat Resume encloses Xerox copies of relevant certificate of qualifications and experience send on or before the last date of 19-12-2018 through the Registration post.